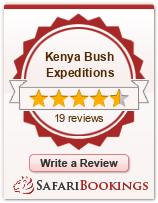 Our driver will pick you from your Arusha hotel early in the morning for the start of this exciting safari! After a brief introduction you will depart for Tarangire National Park. You will arrive in time for hot lunch and some rest. Later in the day you will take off for an exciting game drive, returning to the hotel for dinner and your overnight stay. Day 2.After breakfast you will check-out and head to Ngorongoro Crater. You will arrive in time for lunch. Later in the afternoon you will descend to the crater floor, enjoying great views of the crater as you descend for a once in a lifetime game drive. Return to the lodge for dinner and your overnight. Day 3.check-out after meals and cross over the Ngorongoro Conservation Park on another amazing game drive on your way to the Serengeti National Park. You will arrive at Simba lodge in time for lunch. In the afternoon you will head out on a new and exciting games drive in this expansive Serengeti National Park. Later in the day you will return to camp for dinner and your overnight stay. Day 4.After breakfast you will depart from camp and drive to the most interior part of the Serengeti National Park. Spot the “Big Five”, and thousands of zebras and wild beasts with occasional sightings of hunting. Return for dinner and overnight. Day 5.After an early breakfast you will depart for the Isebania migration border; enjoying a game drive along the way. You will change from your Tanzania guide to your new Kenyan driver who will be waiting at the border. The afternoon and evening will be spent at your leisure in your hotel. Day 6.After an early breakfast you will check-out and head for the Maasai Mara National Reserve. You depart with packed lunch to be enjoyed in the park. Later in the day you will drive to your camp; enjoying an exciting game along the way. Here you will check-in, enjoy a hot meal for dinner and turn in for the night. Day 7.You will rise for an early breakfast and then try your luck at spotting some amazing wildlife on their morning hunting expedition. If you are lucky you will spot the Mara lions in hot pursuit of the fast running gazelles. In the afternoon you will return early to the lodge for hot lunch. Enjoy the afternoon with some rest and relaxation. Day 8 After breakfast you will check-out and depart for Lake Naivasha driving through the floor of the Great Rift Valley. You will arrive at Lake Naivasha in time for lunch. After you check-in you will spend some time at your leisure before catching a boat on the shores of the lake for an exciting boat trip looking out for hippo and crocodile along the banks of the lake. Later in the evening you will return for dinner and your overnight stay. Day 9.This is your last day on safari. After breakfast you will check-out and depart for Nairobi with a stop at the Great Rift Valley viewpoint for some memorable photos of the spectacular view. You will then proceed for Nairobi being dropped off at your hotel or at the Nairobi Airport.